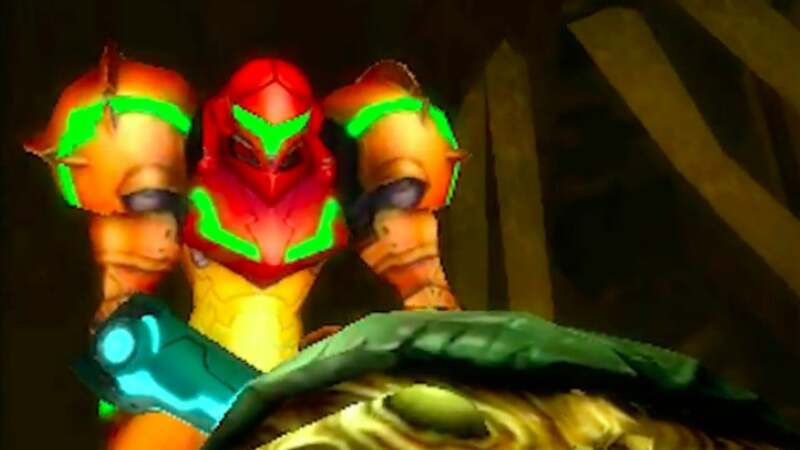 The Metroid series has found itself in an unusual state of limbo for years, with new titles in the franchise proving a rarity beyond the occasional spinoff. That changes now with the introduction of Samus Returns, a fascinating remake of Game Boy’s Metroid 2 that feels both strangely retro and innovative. It’s classic Metroid, right down to its core. With Metroid Prime 4 now in development, this is the perfect way to whet your appetite for the intergalactic bounty hunter’s next big outing. Samus Returns makes an excellent first impression, setting the tone with a simple yet striking story. After the Federation Force has tried and failed to eliminate an alien threat on a foreign planet, Samus Aran is sent in to finish the job. Her legendary reputation precedes her, being ceremoniously introduced with sweeping camera angles and a brilliantly epic musical cue. The opening moments gave me goosebumps, something I genuinely didn’t expect from a 3DS experience. From here I’m on my own, guided through the opening areas with nothing but a few brief tutorials. I spent hours scouring the labyrinthine caverns of SR388 in search of valuable equipment upgrades and ferocious enemies. Every new discovery feels like its own reward. At its heart, Samus Returns is an experience with all the trappings you’d expect from the genre the series birthed. You’ll explore areas in search of objectives and abilities with the option to return to old haunts in search of new goodies. Starting off with nothing but her hand-cannon and power armour, Samus feels almost powerless in the opening 30 minutes or so. This sets an ominous scene that is both mysterious and atmospheric. I felt cautious as mechanics were explained during the tutorial, apprehensively facing off against enemies before encountering my first Metroid. 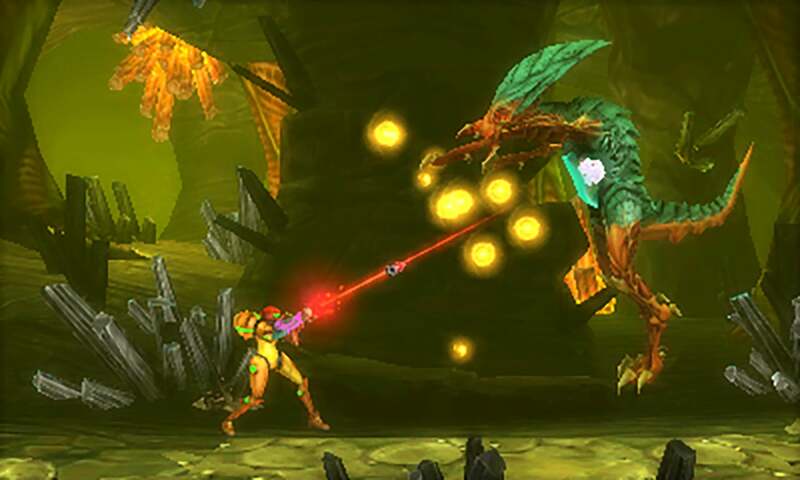 Samus has the ability to run, jump, shoot and roll alongside other skills unlocked throughout the campaign. Much like other games in the genre, gaining certain powers allows you to overcome certain obstacles in search of previously inaccessible secrets. Metroid Returns isn’t easy, so you need everything you can get. I found myself scouring through hidden tunnels and passageways for a small yet vital upgrade. However, before stumbling across any upgrades you’ll need to master the basics. One vital element of my arsenal is the counter attack, which is required in taking down the majority of baddies without taking damage. Pressing the X button at the right moment will push an enemy away, leaving them vulnerable to a barrage of energy fire. Pulling off this move always feels great, complimented by a satisfying sound cue as I struck an enemy with my metallic fist. 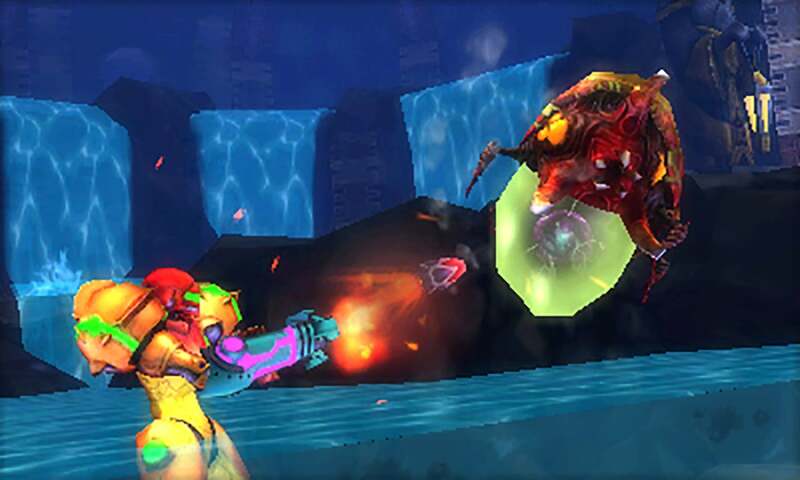 Other weapons such as the ice cannon and ball bombs, the latter of which is deployed while Samus is curled up in her signature sphere, can be used to explode enemies and reveal secret passages. Samus Returns not only encourages experimentation, but requires it if you don’t want to find yourself hitting a wall within minutes. The creatures you fight are all grotesquely befitting of Metroid’s memorable visual identity, hostile to Samus’ presence as she skirts about the barren wasteland of SR388. I would have loved a little more variety in the earlier levels, where I was forced to battle with similar-looking enemies before truly digging into meatier areas. Fortunately, refining my reaction times and toying with weapon types proved pretty invaluable the further I progressed through the campaign. Some enemies can cut your health in half with a single hit, making knowledge of each piece of equipment hugely important. Controlled entirely with the system’s circle pad, Samus Returns lacks the precision you’d expect from a 2D platformer of this ilk. Some jumps can prove frustrating as you fumble off platforms and fail to gain a decent foothold. This could have easily been solved with the option of using the d-pad, but this is instead allocated to a quartet of context-specific abilities. I would much rather this be switched around, allowing for greater control of Samus as accidentally bumping into an enemy and, as a result, biting the dust is a massive nuisance. It’s far too easy to stumble into a new area and die due to something that was previously off-screen and impossible to predict without prior knowledge. I found Samus Returns demands trial-and-error at times, expecting the player to take a bit of punishment before pushing forward. By holding a specific direction on the d-pad Samus can unleash a range of different abilities. She can scan the environment, don lightning armour and even swing from the ceiling with the press of a button. It’s a cool, intuitive addition that provides previously archaic puzzles with an extra level of craft. It also helps lessen the frustrating burden that often comes with the less than ideal movement controls. Those who enjoyed Metroid 2 back in 1991 will absolutely adore what MercurySteam has created here. It’s maintained the spirit and soul of the Game Boy original without sacrificing the challenging charm its legacy has cemented in the past two decades. Previously limited areas have been expanded with new puzzles and secrets that are a treat to discover. The story is little more than a backdrop to hang the action, but some atmospheric context is greatly appreciated. Metroid: Samus Returns is a commendable re-imagining that has clearly been crafted with plenty of love and care by MercurySteam. Irritating control niggles aside, this is a great experience with fun combat, intuitive puzzles and absolutely stellar music. What do you think of Metroid: Samus Returns? Let us know on Twitter and Facebook! The post Metroid: Samus Returns Review appeared first on Trusted Reviews.